Pregnancy—whether you’re trying for it or in the middle of it—is an exhausting time of life. Not only do you face increased physical demands (from boosting calorie intake to more strain on your back), but trying to get answers to your questions can bump up your stress level, too. Fortunately, there are some phenomenal apps out there that can help you get pregnant, stay informed through your pregnancy, and prepare for your family’s newest member. 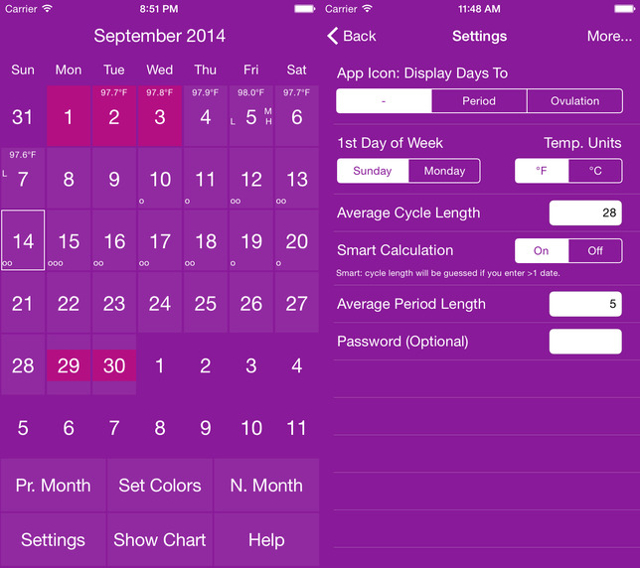 With Ovia’s ovulation and menstruation tracker, you’ll know exactly when you’re most likely to conceive. 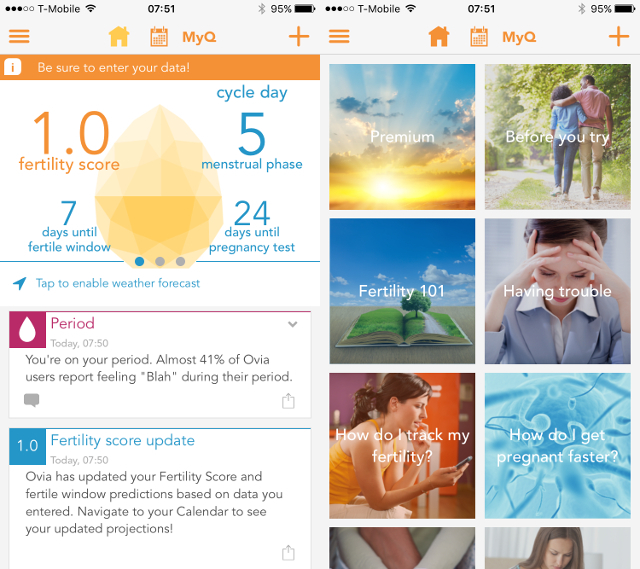 The app prominently displays your overall fertility score, letting you know just how likely you are to conceive at any given point, and you can track your fertility trends over time to get a more complete picture of your efforts. Articles and daily tips will make sure you’re getting the proper nutrition and everything else you need to conceive as soon as possible. 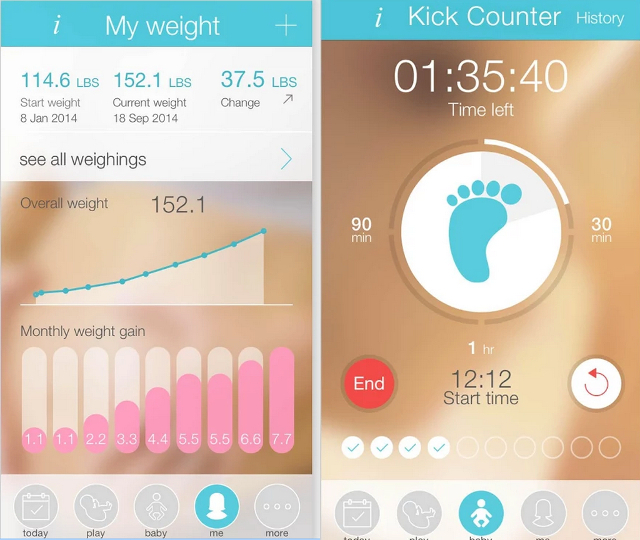 According to Ovia, users of this app conceive three times faster than people who don’t! With one of the biggest names in the online medical field, you know you can trust WebMD. And with over 600 articles, 120 quizzes, 100 tips, 20 videos, 10 tools, and 5 slideshows, this app has information on absolutely everything you could want to know about pregnancy. The Pregnancy Week-by-Week section is a great guide to what you can expect in each week, and will show you how your baby is developing based on your due date. 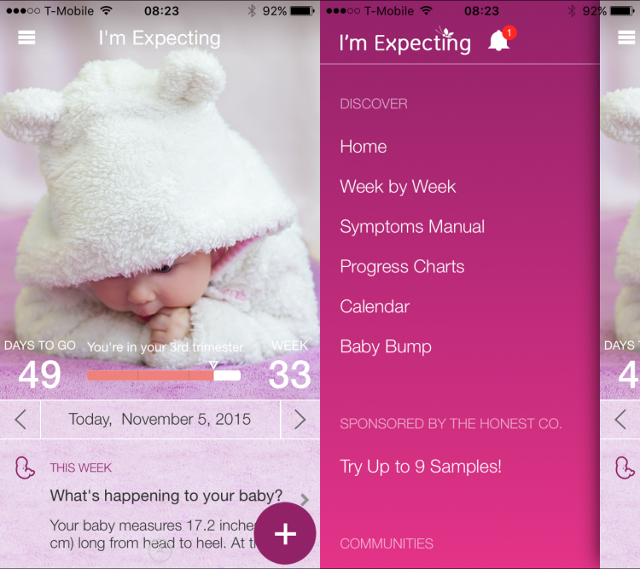 And with checklists for what you should do and buy, a journal to keep memories, a list of question to ask your doctor, and a symptom tracker, this app provides everything you need to be prepared and informed throughout your pregnancy. With day-by-day updates on changes in your body, your baby’s development, and what to expect, My Pregnancy Today will be with you for the entire nine months of your pregnancy. It’s also great for getting an idea of what’s coming up in the near future: you can look at detailed images of fetal development, see videos of babies’ growth and mothers giving birth, and even calculate your due date if you don’t know it yet. The app also has a tool for taking a bumpie (a picture of your baby bump) each day, and will turn it into a video that you can share and keep forever to remember your pregnancy. 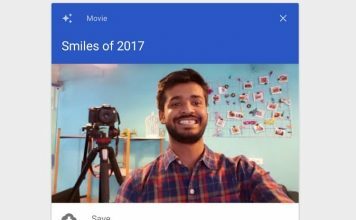 You can even add fun effects to personalize the photos and video! 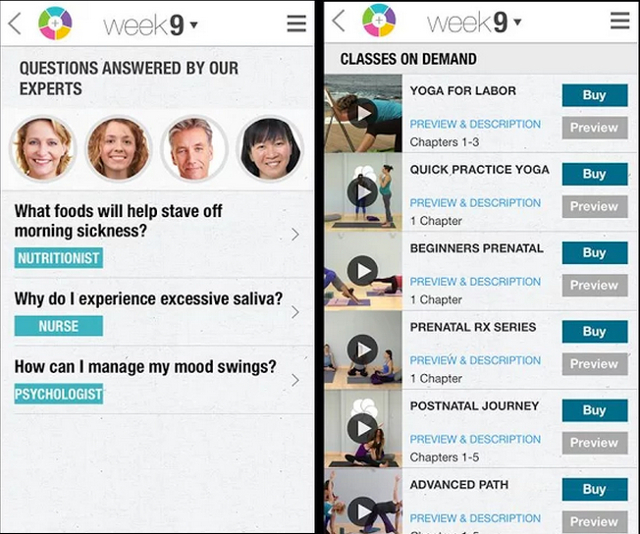 Like many other pregnancy apps, I’m Expecting offers daily and weekly information: videos and articles tell you what’s happening to your body, what’s happening in your baby’s development, and tips for relieving some of the difficult symptoms that you’ll experience. I’m Expecting offers a social community as well, where you can hear from other expecting mothers, see what issues other people are dealing with, and get the answers to your questions. You can also see all of the information that you’ve stored from any computer by signing into your account through a browser. Anything you add through the website will also automatically be added to your phone, too. 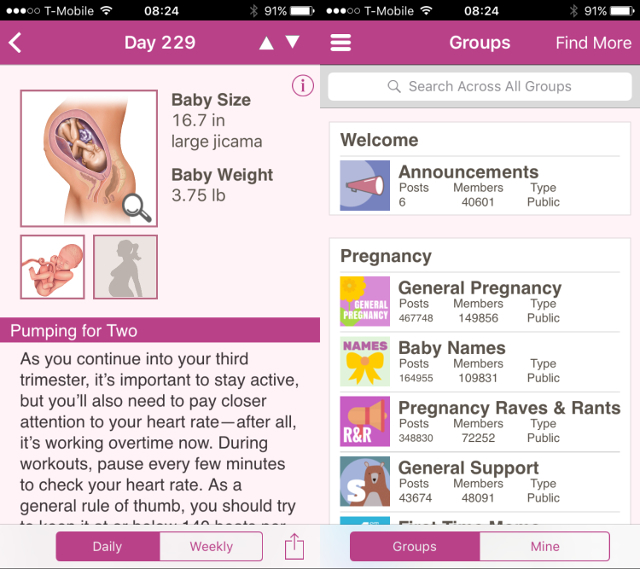 The daily pregnancy information that you get from the Pregnancy++ app, combined with daily updates from the Health and Parenting blog, will keep you up-to-date on everything that you need to know throughout your pregnancy. A personal dairy and weight log let you keep track of changes to your own body, and a number of visuals—from illustrations to ultrasound scans—show you just how big your baby is at any point in your pregnancy. There are even thousands of baby names to help you get started on picking out a name for your little one. And with a nicely designed visual interface, you’ll always want to come back to this app to see what’s new. 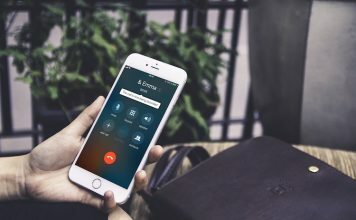 This app from iamtotally.com focuses on what you need right now, instead of trying to get you prepared with things you don’t need yet. “We know that when you’re in week 10 you don’t need a stroller, that’s why we don’t offer you one. Instead we offer you recipes for morning sickness, videos of your growing baby and maternity jeans for your growing bump,” says the app description. 3D videos, video blogs from other moms-to-be, and a community of other users will help you get all of your questions answered as soon as you have them, and a weekly magazine gives you recipes, tips, and even a style guide. One of the best features of the Totally Pregnant app is that you can sign up for and attend online pre-natal and birth classes directly through the app. If you want to track everything about your pregnancy, from your weight to your moods and sleep cycles, Ovia’s Pregnancy Tracker app is the one you need. It even integrates with Apple’s Health app to get blood pressure data. You can track your symptoms and see which ones are the most common during any week of pregnancy, keep track of your eating and find out if you’re getting the proper nutrients for your baby’s development, learn about which vitamin supplements you should be taking and track when you take them, and even record your moods each day. And of course, there are hundreds of articles and tips that will give you all the advice you need about how to make it through your pregnancy as successfully as possible. You can even see your baby’s hand size each day! 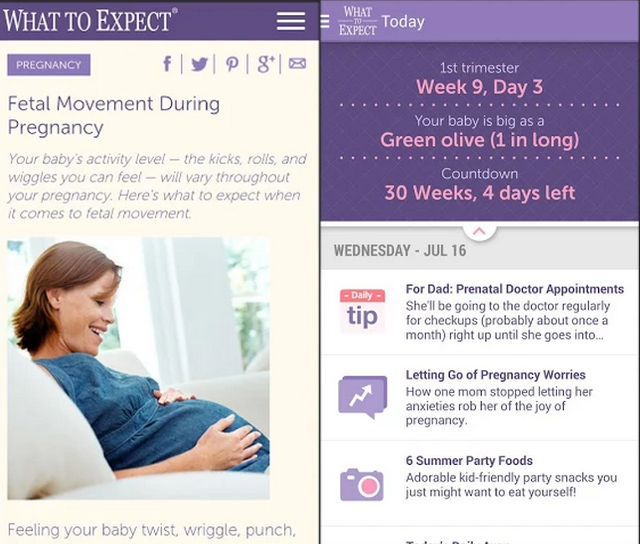 From the widely popular “What to Expect When You’re Expecting” brand, this app comes with everything you’d expect: articles, tips, videos, health news, and even reasons to smile each day. You’ll also gain access to the What to Expect community, which will you put you in a group with moms who have similar due dates, interests, and locations so you can arrange meet-ups to spend time with other expecting moms. The Apple Watch app has a cool timer that gives you daily countdowns to major milestones and useful tips that are presented at specific times during the day. 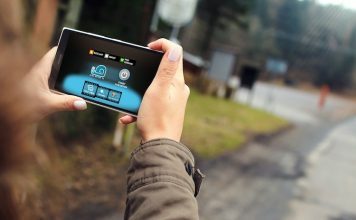 A lot of people the find the articles a bit “corny,” but this app has gotten a lot of great reviews for its videos and community. 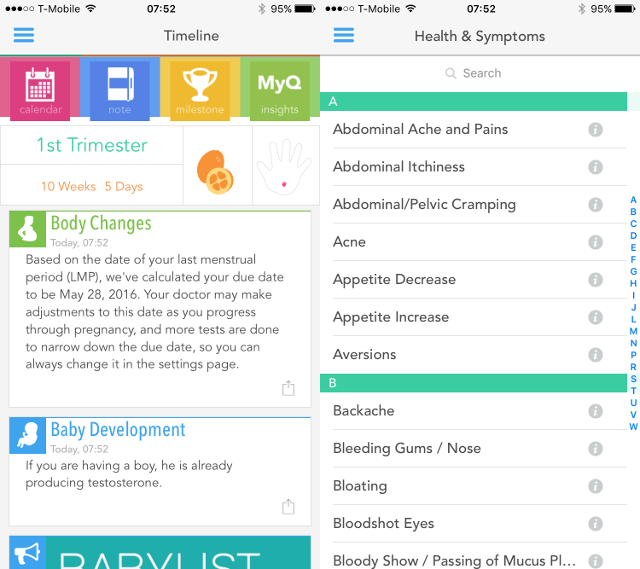 With one of the best designs among apps on this list, the BabyBump app puts a lot of information in easy reach. 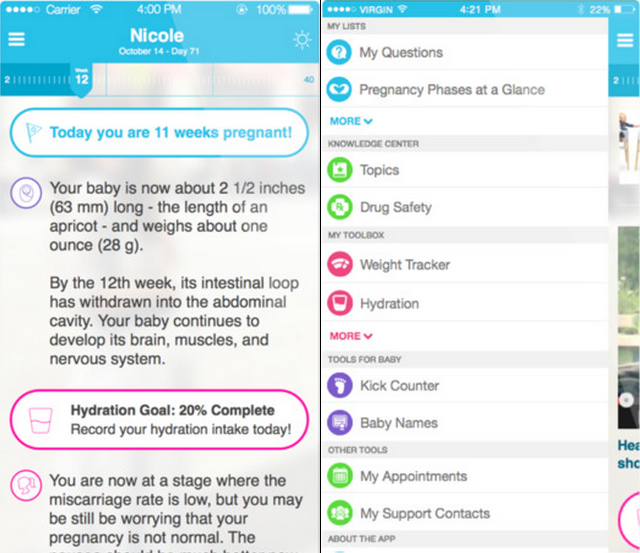 The easy-to-update journal and running display of selfies let you keep track of your pregnancy experience, and the social side of the app helps you connect with other moms-to-be. One of the things that BabyBump uses to set itself apart is that it’s the most frequently updated pregnancy app, which means you’ll get up-to-date health information, tips, advice, and resources. A weight tracker, daily images of fetal development, and a number of charts and graphs provide you with all the information you need to feel comfortable with your body and your baby’s development. 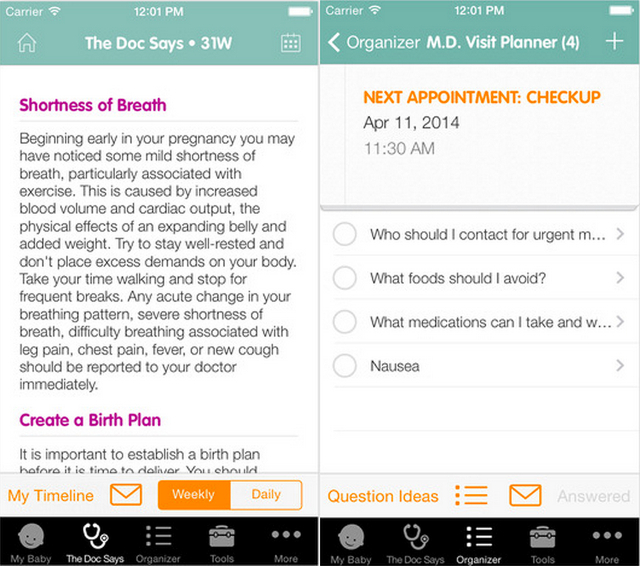 This app was created by certified OBGYN doctors specifically for expecting mothers, so you can expect very high-quality information. Daily and weekly advice from OBGYN docs, developmental insights, 3D animated videos, a weight tracker, a hydration counter, and a baby names database are complimented by more features, like prenatal yoga and acupressure points and drug safety information. 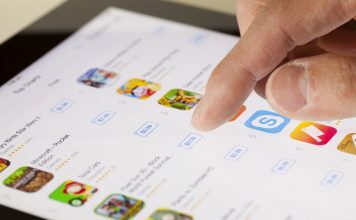 This app has a great interface, with soothing colors and easy-to-use features, making for a very easy learning curve. The encyclopedia-like Topics section is also really useful for finding information on any topic, even if you don’t know where it would be stored within the app. This app goes beyond what’s offered by other apps in offering not only 3D images, but 3D interactive features as well, so you can see what your baby’s heartbeat looks like and how they kick and move. 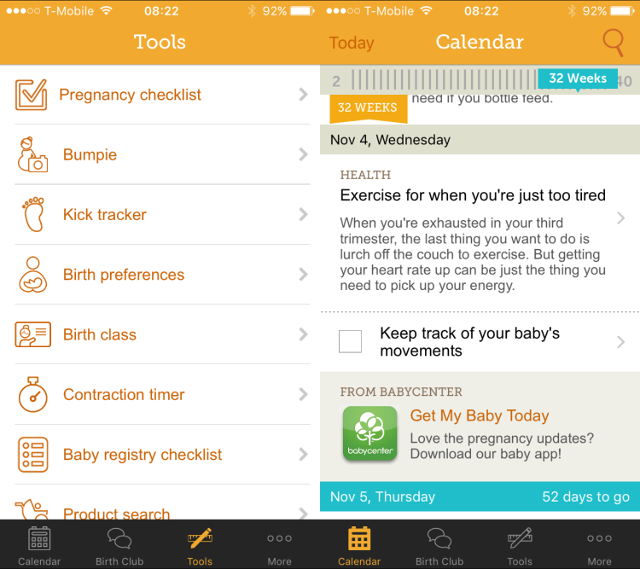 The pregnancy journal in Sprout comes with 350 journal prompts, so you’ll always have something to write about and look back on. And your personal pregnancy timeline will show you the milestones that you’re about to reach based on your specific due date. The app is free and ad-supported, but I recommend upgrading to the premium version right away to unlock most of the useful features and get rid of the ads. Even if you don’t know any other moms-to-be, you don’t have to go through pregnancy alone! 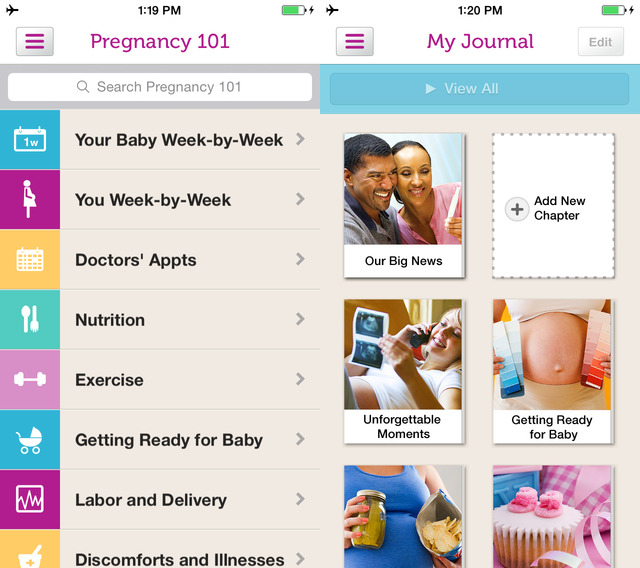 These 12 pregnancy apps will help you find all the information you need, and many of them will even connect you with other expecting mothers so you can talk about your experiences and share tips and advice. All from your pocket!